Road Trail Run: Garmin vivofit jr. 2 Kids Activity Tracker Review - A Tool To Inspire Health, Fitness, Wellness and Chores! Garmin vivofit jr. 2 Kids Activity Tracker Review - A Tool To Inspire Health, Fitness, Wellness and Chores! 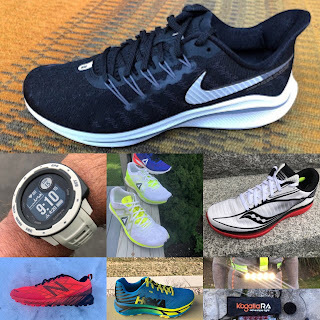 My soon to be 8 year old twin daughters often like to make fun of my obsession interest in running gear, particularly my Garmin GPS watches that I wear and am distracted by on a daily basis. 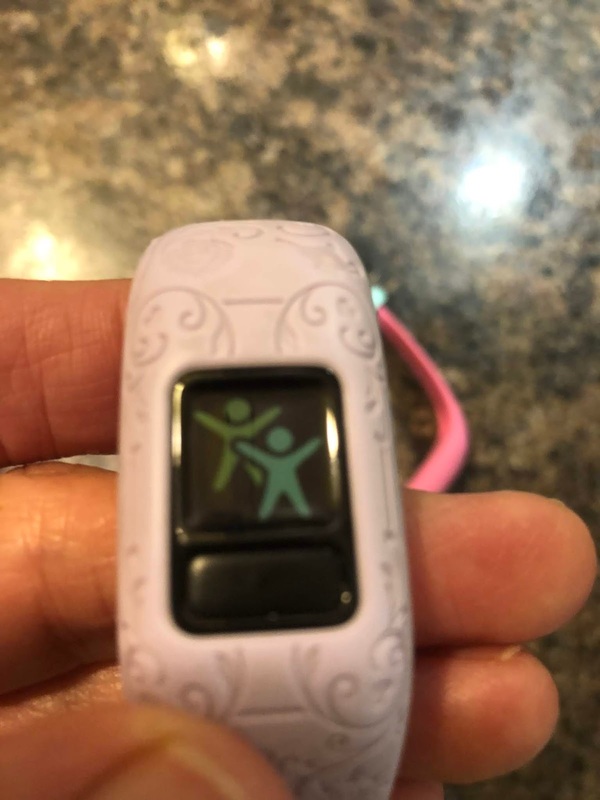 When given the opportunity to review the latest vivofit jr. 2 kids activity tracker in Disney Princess livery, they were exited about the idea, listing a handful of school and neighborhood friends that also have vivofits. With all 3 of us sporting Garmins on our wrists, the activity/daily step showdown was on! 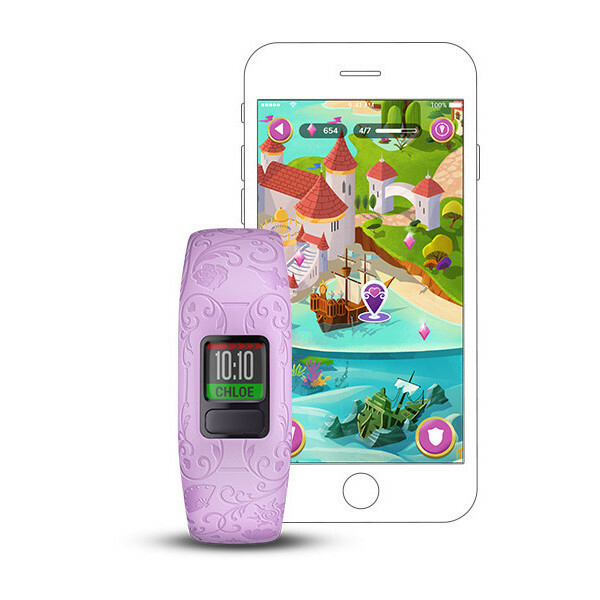 The vivofit jr. 2 comes in several versions, all with the same functionality, but with different bands and slightly varied software within the watch and app to match each theme. Themes/styles include Disney Princess, Disney Minnie Mouse, Star Wars and Marvel Avengers, enough variation to satisfy even the most selective kids out there. They are very durable, waterproof and fit a wide range of kids with varied band sizes with the smaller stretchy bands fitting ages 4-7 (up to 147mm) and the adjustable bands (that we reviewed) suggesting ages 4+ (130-175mm). Battery life is listed as 1 year, where the battery can then be replaced, which is handy since kids may not be as diligent about charging. Full official Garmin specs here. Setup is very easy, installing the vivofit jr. app on my phone, then walking through the prompts where you enter the name of the child, age, sleep times and select from a handful of different customized watch face options. 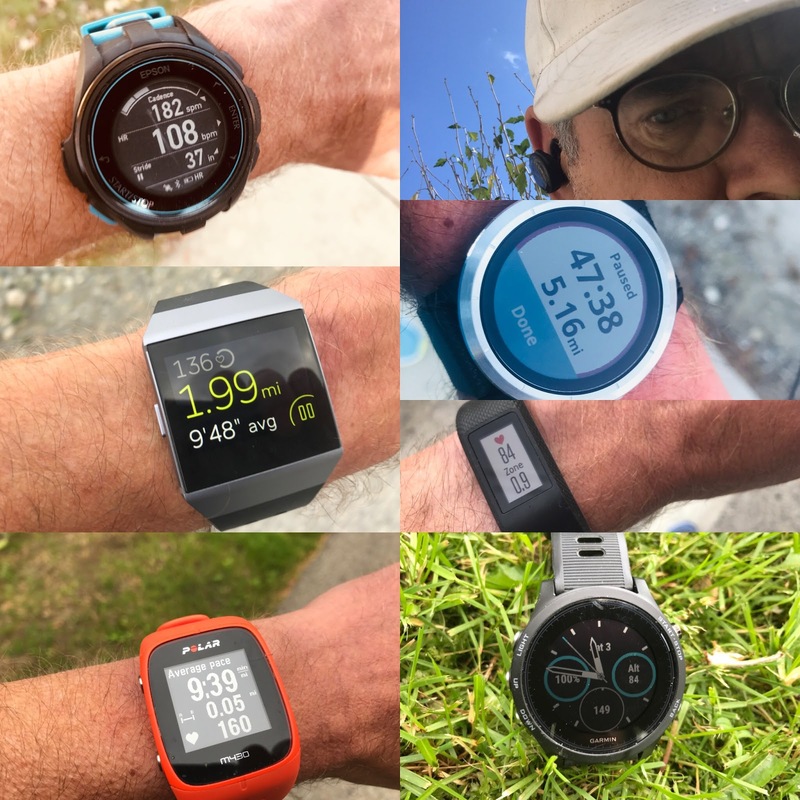 We then created a family group where that links up with my own primary Garmin tracker (Fenix 5 Plus, 935 or Fenix 5X) through my Connect account. You can also connect with other friends/families to compete for steps/activity. I'll admit to barely getting my hands on the actual watches. I had hoped to get them figured out and then give the girls a lesson, since I am fairly fluent with tech and Garmin watches, but they snatched them away from me and had them completely figured out within a half hour, instead teaching me how they work. Why a vivofit jr 2? 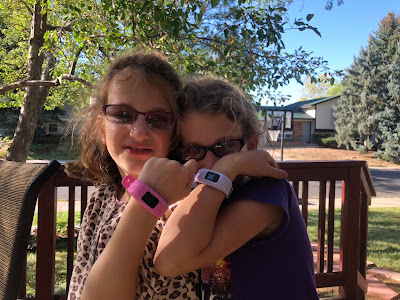 Since we received the vivofits a few weeks ago, my daughters have literally not taken them off of their wrists, not once. They love the look and feel of them, as the silicone band is comfortable and they don't get a rash or any skin irritation, as has been the case when wearing other watches for too long. 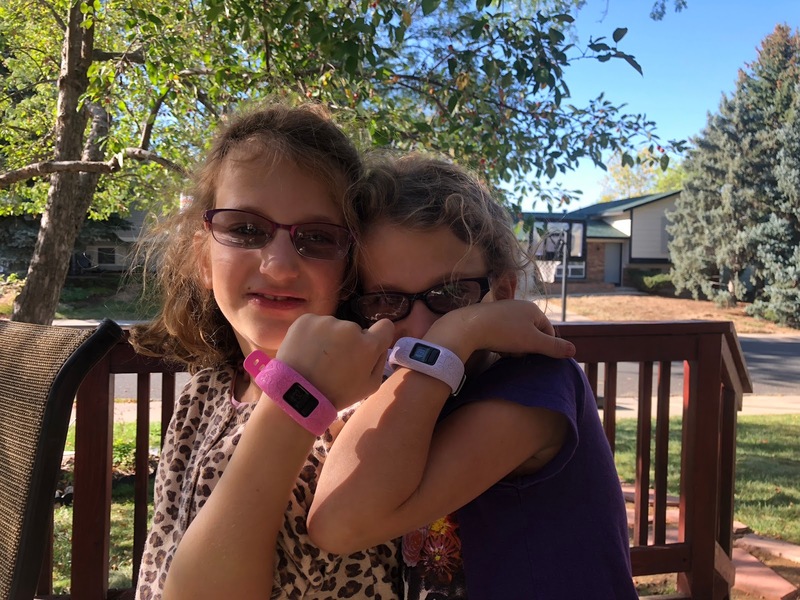 My girls are very active with or without an activity tracker, but the vivofits help inspire them to do a bit more, or at least they enjoy quantifying the amount they do each day and comparing with one another, their friends and mostly, with me. As a runner, I would have thought that I would beat them in steps every day, but that has not consistently been the case, as they often come out ahead of me, especially on my more minimal days or days off. If our daily step competition is looking close at the end of the day, they sometimes even disappear after dinner and we find them doing laps up and down the street trying to get in more steps and activity points. They can even connect directly with one another for a 2 minute step challenge. The pre set timers are great too, where they can set for 2, 5 10, 15, 20 or 30 minute increments for brushing teeth, reading, homework or chores. The timers are surprisingly one of the most valued features for both of my girls, as they can quickly set a 2 minute timer for tooth brushing, where they focus for that 2 minutes and do not get harassed by us, or a 20 minute timer for reading or any other tasks, where they can better focus their efforts and see a reward at the end. Within the app, I can select from a long list of pre set chores, or create a custom list of chores where we check them off at the end of the day. With parental control, the parent approves completion of the chores (either verifies visually or takes the kid's word for it), then point are issued to their profile and then they get notified on their watch. Parents can toggle the amount of points for each chore and then assign prizes for so many points earned. We have done this in the past in more simple ways, but this is an easy way to keep track and they seem to be more motivated by it than token in a jar sort of tracking. Whatever works! The sleep tracking is also very accurate and we all found it interesting, where they competed for sleep at first, but that over time has become more of a novelty. Though we can come close in our steps and daily activity, they unsurprisingly beat me when it comes to sleep, often getting 10 - 12 hours. Play hard, rest hard. In Magical Kingdoms: A Disney Princess Adventure, kids will help Rapunzel and Flynn Rider escape Mother Gothel, save the Emperor with Mulan, and even explore the Cave of Wonders with Jasmine. The more they meet – and exceed – their activity goals, the more of the story they’ll get to see. In addition to uncovering additional adventures with the Disney Princesses, kids can gain access to fun games and more. To collect gems and get more chances to play games, kids will need to keep logging those active minutes. The Magical Kingdom adventures are a great way for kids to play a "video game" that involves a lot of activity, with each move requiring 60 minutes of separate activity to advance. The girls are semi interested, but neither of us have pushed to play the game. They are content with it because they are not particularly hooked on such games and we are pretty conservative as to the screen time that we allow in general, but this is entirely a personal choice for the family to make. Much better than non activity related screen games, but it is still more screen time and those who try to keep to a minimum may decide to not even mention it. We worried at first that the girls may be preoccupied by these devices in class, but this has not been the case at all. Who is the vivofit jr. 2 for? Every kid roughly 4+, through pre-teen regardless of their activity level. If already active, the vivofit jr. 2 is a great measuring tool and has been a fun way to bond in an active an healthy way by engaging in a bit of fun and friendly competition. 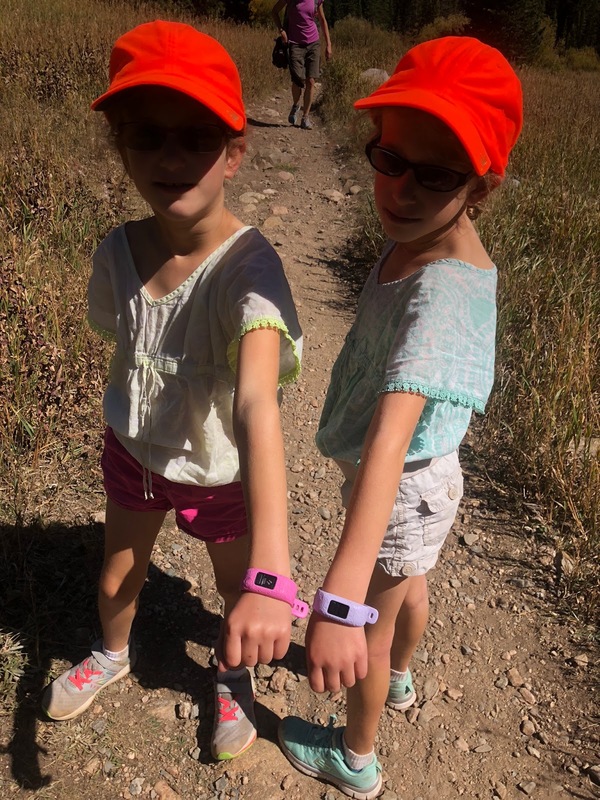 If not already active, the vivofit can help inspire and remind kids to be more active, especially when there are tangible rewards that are being tracked on the line. The promotion of health, fitness, activity (and chores) for kids makes the Garmin vivofit jr 2 a wise purchase. Personally, I find the screen to be a bit small and dark, which makes it somewhat difficult to read at a glance, though the girls do not seem to notice or care, so I can probably blame this on my aging eyes. 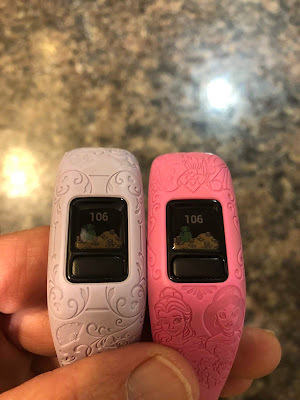 The Disney, Marvel, Princess, Star Wars themes are awesome, but a greater choice of themes/colors would be great up front, as Garmin offers a much wider variety of themed bands and various colors, sizes, but cost an additional $20-$40 to buy as separate accessories. Maybe optical heart rate and GPS? Or better yet, a tracking chip so I can always locate them. Do your girls have their own phones, or are their watches tied to your app? We have a soon to be five-year-old who is enamored with the idea of having a watch like mom & dad but she's many many years away from her own phone. Also - any thoughts on a precocious five-year-old having one? Better to give it another year or two? Hey Jeff, our girls do not have phones, we just look at the app on my phone periodically (started off every night, but now we are more likely to just look at our watches and compare stats at the end of the day). Age 5, I would say go for it, you have nothing to lose.